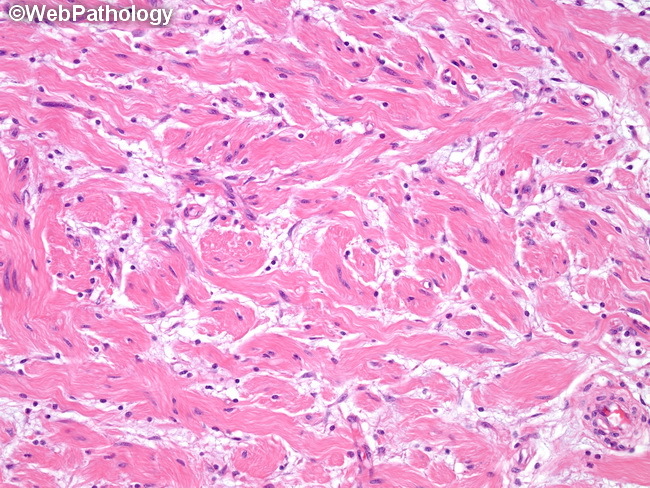 This localized neurofibroma is composed of thick intersecting bundles of Schwann cells separated by myxoid stroma. Scattered mast cells and lymphocytes are present in the stroma. In the absence of neurofibromatosis 1, the risk of transformation to malignant peripheral nerve sheath tumor is unknown but is considered to be exceedingly small. Simple excision is curative.